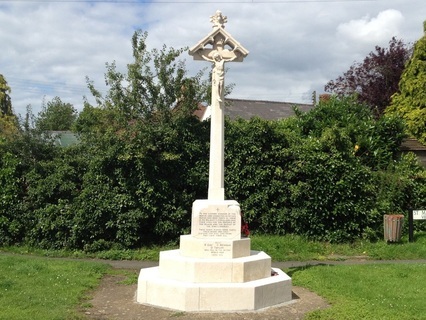 After WWI there was a deeply held wish in the village to have a proper memorial to those Alderton men and women who had served their country. 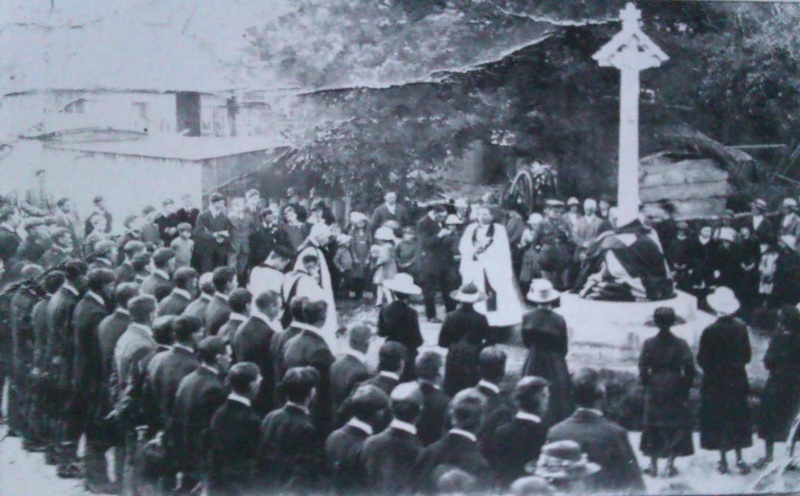 The question of what to build was long debated - the Rector and Churchwardens felt that a Cenotaph type of memorial would be the most appropriate use of the money collected. However a group of villagers thought that the greater need was for a village hall. At this time any meetings were held in the larger schoolroom. There was a time of discussion (contention!) , and it was agreed that the money be divided between the two suggested projects. Below is a picture of the dedication of the memorial. In the foreground are the Alderton service men who came back from the war - faultlessly lined up in the way familiar to them from their military training. In front of them are the widows and mothers of those who did not come back. It would have been a sad and sombre occasion for all, and one repeated in many villages. Some time after this picture was taken an iron railing was built around the memorial.